QT-I Complete Isolation Valve - CASCADE PLC - The new home of Cascade Clamps UK Ltd, Suppliers and Manufacturers of pipe fittings to the water & gas industry. The QT-I is a complete isolation valve designed for risers and under hydrants, but will also act as a valve when connected to a Under Pressure Tee. 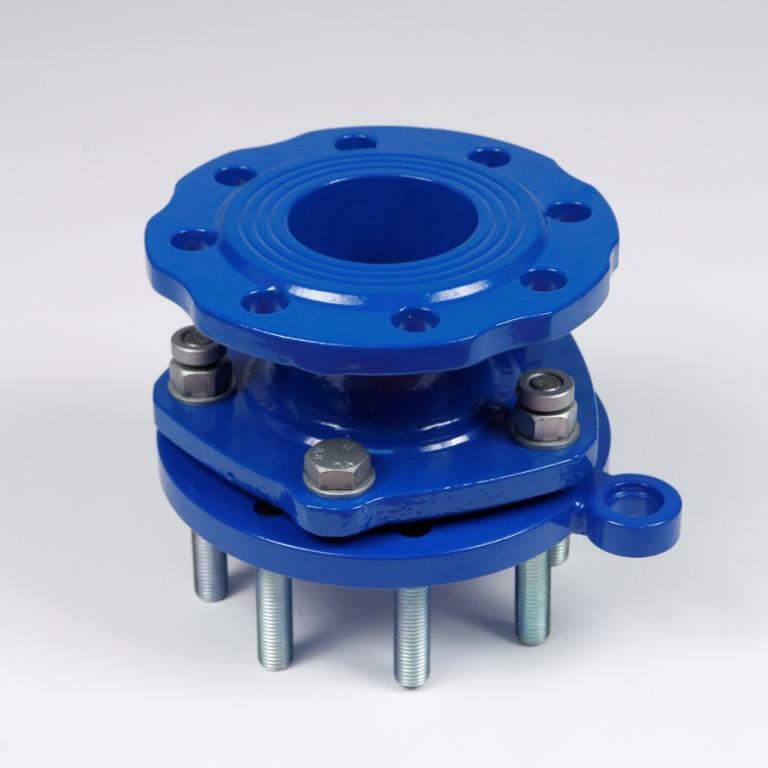 The clever design allows the fitting to connect to the Tee by means of pre-installed bolts which attach to the Tee's Flange, the QT-I then allows a isolation blade to be sandwiched between two seals shutting off the supply of water in the same way as the Q-Tee. Please see our downloadable E-Brochure for more information on this product.